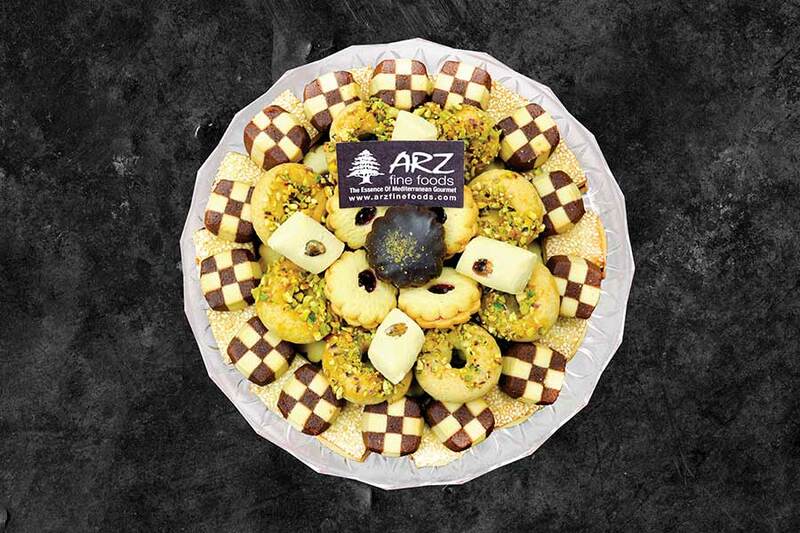 The Arz one of a kind bakery offers an enormous variety of mouth-watering and decadent sweets. 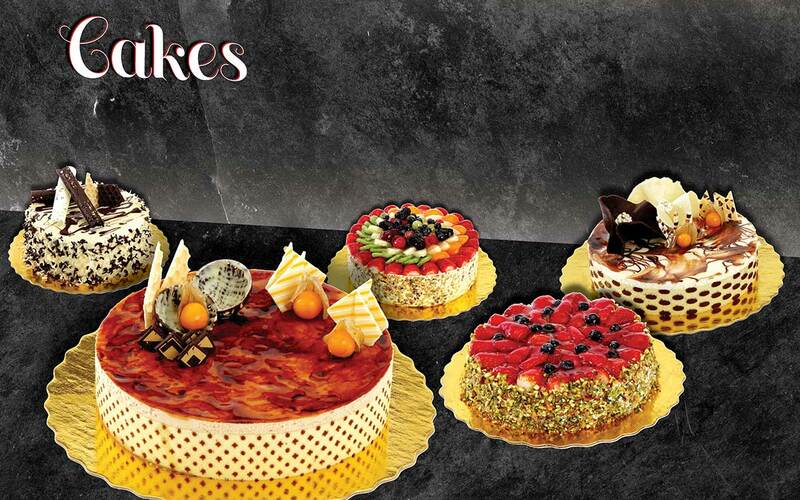 The bakers craft their desserts with the skill and care of true artists. Our cake selection includes everything from traditional staples like Tiramisu and Chocolate Mousse to unique European & Mediterranean delicacies like Rococo, Paradise and Pyramid cakes, also specialty cakes for all occasions, such as weddings, birthdays, and baptisms. 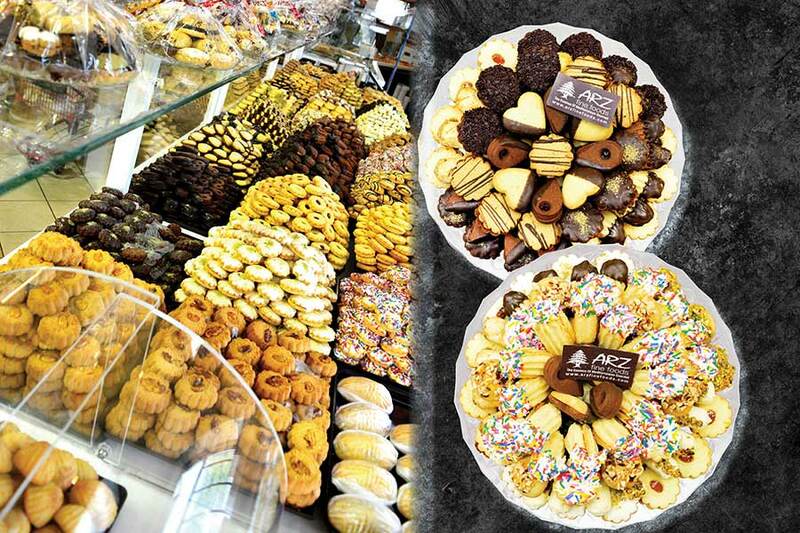 The cookies and baklava section will not leave you wanting. With dozens of flavours and varieties, there is something to suit everyone’s palette. If you’re looking for something more exotic, we have three types of lokoum (Turkish Delight) as well as glazed fruits and nut platters. Don’t have much of a sweet tooth? Pick up some nuts for a filling and nutritious snack throughout your day. For a rich cup of coffee to compliment your dessert, whether you’re picking up a small slice of heaven for yourself or a large platter for friends and family, add some ground Middle-Eastern coffee to your cart.